Type 2 diabetes, different from type 1 diabetes, is when the body still makes insulinbut not enough and the cells are also resistant to the insulin produced, known as “Insulin resistance.” The problem with any type of diabetes is the glucose in the bloodstream cannot enter the body’s cells to provide them energy to work properly. This condition is less serious than Type 1 diabetes in which case the body no longer produces any insulin, but both types can have serious health complications. People develop type 2 diabetes because their bodies have problems in producing and using insulin. Type two diabetics still make some insulin, but the body cannot use it to help the glucose move into the cells and the muscles for energy. In some cases of type 2 diabetes, the body ceases insulin production to help move glucose out of the blood and into cells. In other cases, the body begins to resist insulin, preventing it from transferring the glucose to the body parts that need it. Type 2 diabetes develops gradually. With the body become incapable to use the glucose floating in the bloodstream, the sugar slowly builds up, resulting in hyperglycemia. Who Are at Higher Risk for Type 2 Diabetes? Native American, African American, Asians or Latinos. What Are the Complications Associated with Type 2 Diabetes? If Type 2 diabetes goes uncontrolled, complications can develop. Some can be life threatening, affecting the major organs. This is one of the biggest complications with diabetes of any type. Large amount of unused glucose in the blood gets filtered through the kidneys and causes major damage to the tiny vessels that filter waste from your body. Too much sugar in the blood can cause the small blood vessels around the nerves to start failing. This happens most often in the legs. People who have nerve damage from diabetes feel numbness and tingling in the fingers and toes. The high levels of blood sugar flow through the intricate blood vessels all the time. This causes damage to the arteries and veins, increasing the risk for high blood pressure, blood clots, stroke and heart attacks. The tiny blood vessels in feet become damaged and feel fewer sensations. If you step on a piece of glass or get a blister, you may not feel the injury. Reduced blood flow also impairs healing. The blood vessels in the eyes are very delicate, and excessive blood sugar can damage them. This can lead to vision problems, including cataracts, glaucoma and even blindness. Researchers are still unsure, but people with poorly controlled blood sugar have a higher risk of Alzheimer’s disease and memory problems later in life. People with diabetes tend to have more skin issues such as fungal and bacterial infections. People that have high blood sugar often experience hearingtroubles. What Are the Treatments of Type 2 Diabetes? Eating foods that are low on the glycemic index can help stabilize blood sugar levels. Adding foods like fresh fruits and vegetables, whole grains and less animal proteins can help your body maintain glucose control. If you need help, a dietician can help you plan meals that are healthy and fit your lifestyle. With your doctor’s agreement, starting an exercise program can help you lose extra weight and burn off excess blood sugar. Aerobic exercise and walking are good ways to stay fit with diabetes. You need to check your blood sugar every day. Some people need to check their blood sugar more than once per day. If you are on insulin, you may need to check your blood sugar before and after each meal. 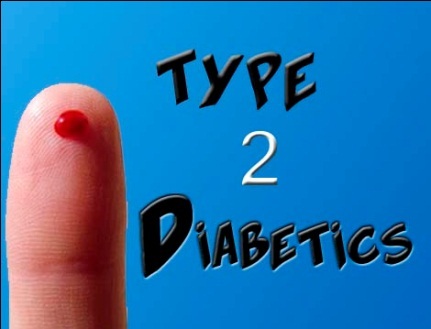 Some people with type 2 diabetes need medications or insulin therapy to control their blood sugar levels. Your doctor will decide which treatment is best for you based on your blood sugar levels, health condition and other factors. He may even prescript different classes of drugs to help you achieve a normal blood sugar level. Notes: During pregnancy, women who suffer from type 2 diabetes may need different forms of treatment. Certain forms of treatment cannot be used because of potential harm to the baby. Vision problems due to diabetes may worsen during pregnancy and eye check-ups are important. Learn about diabetes. Educate yourself about diabetes and make a good plan to manage your condition and stick to it. Get a medical alert bracelet. If you have a dangerous drop or spike in blood sugar and you become unconscious, medical personnel need to know what to look for. Get a yearly check-up. You need to have a full physical checkup every year to make sure you aren’t developing complications of diabetes. Have a yearly eye exam to make sure diabetes is not affecting your vision. Update your immunizations. With Type 2 diabetes, your immune system does not function as well as it should. Make sure you get your annual flu shot, pneumonia shot, shingles vaccine and Hepatitis B series, etc. Pay attention to your dental health. Brush your teeth after meals, floss daily and get regular dental checkups. Sugar can cause serious gum disease. If you have bleeding gums, see your dentist as soon as possible. Keep an open eye for your feet. Since your feet may have decreased sensations, you need to check them often for injuries. Treat any cuts or blisters promptly and try to keep your feet moisturized. Control your blood pressure and cholesterol. Eat healthy, exercise, and take medication if the doctor recommends it. This will help prevent complications. Quit smoking. Quitting smoking can help prevent heart related complications. Smoking adds to the damage of your blood vessels that are already being damaged by high blood sugar. Use alcohol in moderation. Some alcohol can raise the blood sugar to dangerous levels. Other types can drop the blood sugar levels too low. If you drink, make sure you always take alcohol with a meal to prevent issues.